Northwestern presents a reading that features both faculty members and students in the Masters in Creative Writing program. Michael McColly, author of The After-Death Room: Journey into Spiritual Activism, and S.L. Wisenberg, author of Holocaust Girls: History, Memory & Other Obsessions, will be the featured faculty at MoJoe's Hot House, 2849 W. Belmont Ave. Free and open to the public at 7pm. Call 312-503-4682 to RSVP and to get more information. The Neo-Futurists present preview shows of their latest prime time show "You Asked For It! ", directed by Neo-Futurist founder Greg Allen. "You Asked For It!" follows the ideas of artists Komar and Melamid and attempts to present plays based on the most-wanted and least-wanted theatrical elements, as determined by a survey conducted by Allen last year. "You Asked For It!" has a preview showing tonight at 8:00 PM, and officially premieres on Saturday, January 27; all shows will be at 8:00 PM. The show will run through March 3. Tickets are $15, $10 for seniors/students with ID, and pay-what-you-can on Thursday nights and for the previews. For tickets, see the Neo-Futurist Website or call the theater. Neo-Futurarium: 5153 N. Ashland (at Foster). (773) 275-5255. From the people who brought you a free Gza show (Scion): a free Redman show. (See a theme?) At the Metro, 3730 N. Clark Street. 21+, 9 PM, RSVP here. Tonight Powell's presents a special reading with the Ad-hoc Avant-Troika, featuring Debra DiBlasi, Steve Tomasula and Davis Schneiderman. Free and open to the public at 7pm, 2850 N. Lincoln Ave. Call 773-248-1444 for more information. The Music Box starts screening David Lynch's new film Inland Empire tonight. Check the Music Box site for showtimes. Music Box: 3733 N. Southport. (773) 871-6604. The Jazz Institute of Chicago joins with the Chicago Cultural Center in presenting a weekend of free jazz programming. Tonight between 7 PM and midnight, choose from more than a half dozen different performances. 77 E Randolph Street. 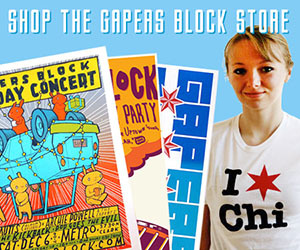 For more information, call 312-744-6630 or visit the website. If you thought that the excesses of hip-hop had rendered the genre parody-proof, then think again. The raucous and riotously funny Philly crew Plastic Little get busy at the Empty Bottle this evening; hitting town in support of their debut full-length, She's Mature. The rest of the supporting bill is a showcase of local talent -- featuring Kid Sister and Vyle. The Gutter Butter DJs will be spinning throughout. Whoo-hah! Keeping clockin' the Transmission page for details. The man himself, director David Lynch, is stopping by Transitions Bookplace to promote his new book, Catching the Big Fish: Meditation, Consciousness and Creativity. This free event begins at 7:30pm, but Transitions recommends you get there early. Transitions Bookplace is located at 1000 W. North Ave. Call 312-951-READ or visit http://www.transitionsbookplace.com/ for more information. 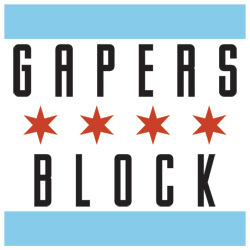 Gapers Block's regular monthly get-together settles back into its usual schedule -- the last Friday of the month -- tonight from 9pm to midnight in the back room at Black Rock, 3614 N. Damen. Come join GB staffers and knock back a beer or two!